Winter Storm Watches are now up for much of the Northeast back into the Midwest as we prep up for the storm now in the west to move in here Saturday night into Sunday. Honestly the bigger issue for most of the area from Northern Maryland to Eastern Pennsylvania northeast to Southern New England is not the snow so much but the potential for icing. The 32 degree line could take forever to move northward before it comes to a grinding halt and then drops back southward Monday morning. 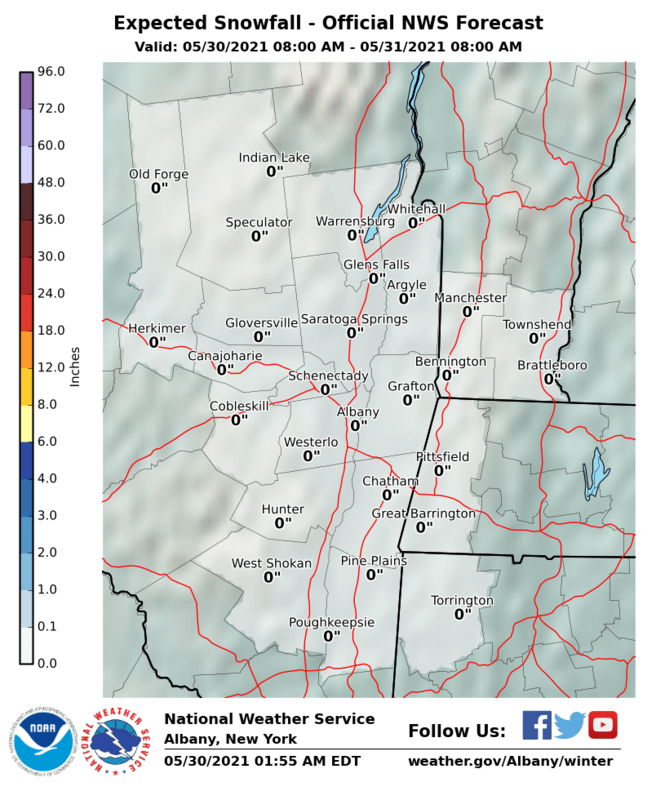 Pay close attention to the time stamps on the snow forecast maps because there might be a few here that are still focused on tonight’s minor event of a coating to an inch or two. Check that time stamp on the map just to make sure. As we indicated the biggest issue for our area could be ice. 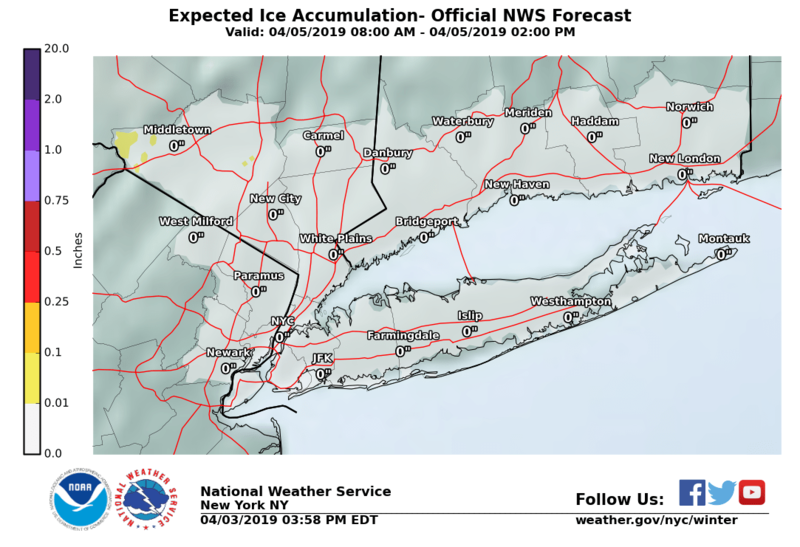 Here is the ice forecast issued for the areas surrounding NYC. Some areas are forecast to have significant icing. 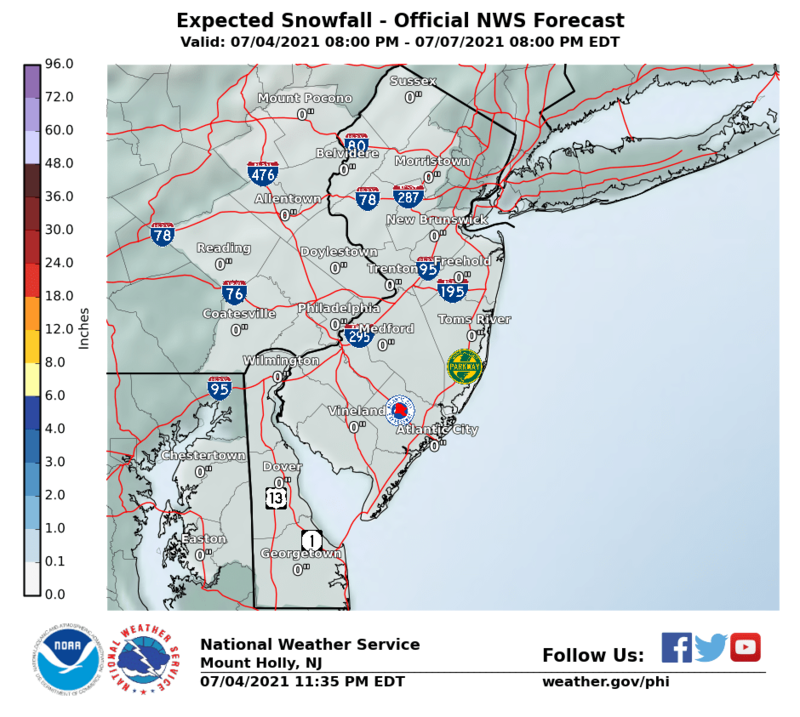 For New Jersey south and east of the NJ Turnpike amounts decrease to an inch or less but north and west of the Turnpike amounts go up with the greatest amounts indicated for the Northwestern Counties of Sussex Warren & Morris County. Northern New Jersey north of Route 78 at least and possibly northwest of the Turnpike (further south) will have icing issues depending on how far north the freezing line gets. In Southeastern New England Boston will get to break its snow drought in a big way with amounts of a half foot or morewith greater amounts north and northwest of Boston. 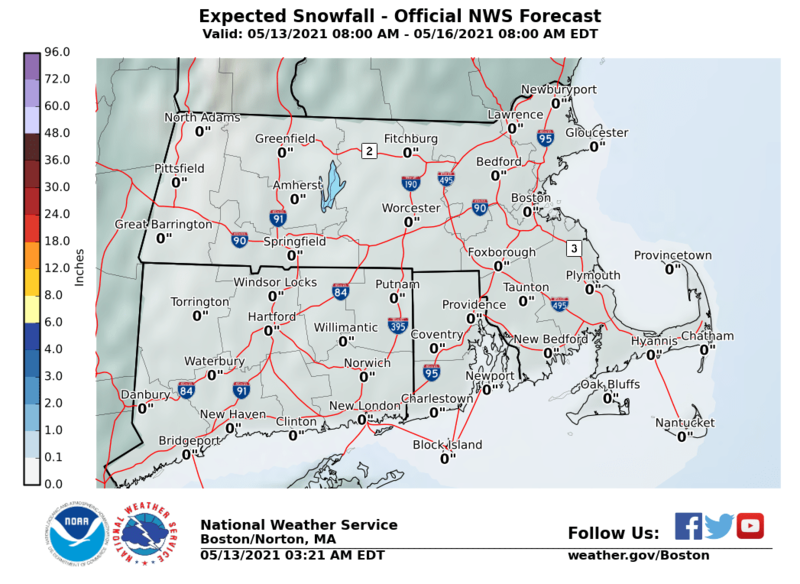 Amounts decrease in Northern Connecticut and decrease further in Southern Rhode Island and Southeastern Massachusetts. 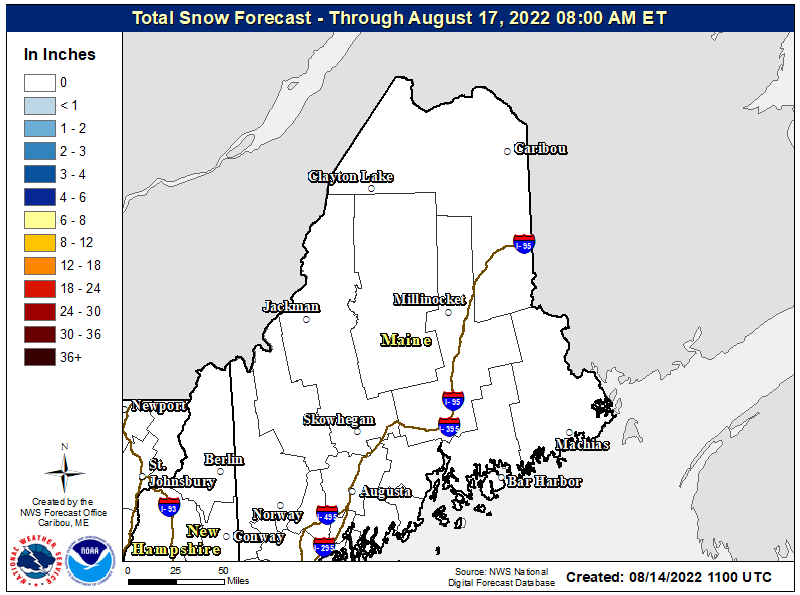 In Maine, well, this map is just for Friday as they have a lead system to deal with though amounts from this are minor. 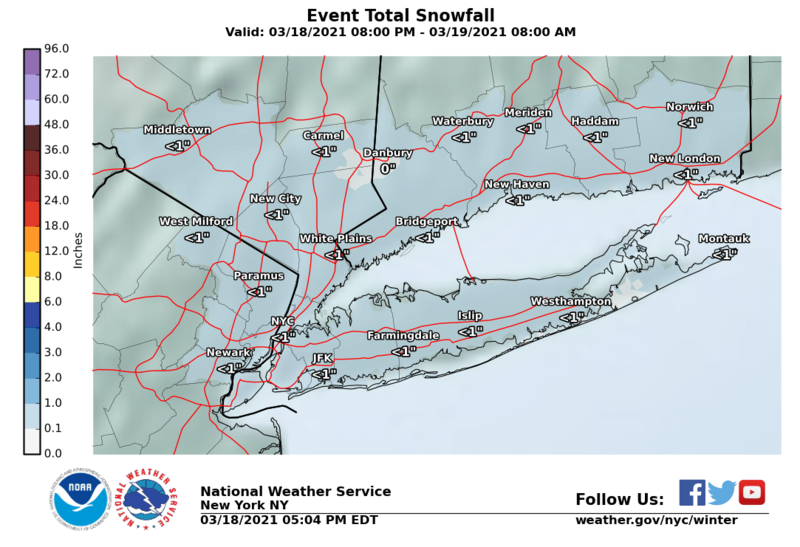 Look for this map to be updated Friday to show snow amounts for the weekend. Maine is likely to get buried with 1 to 2 feet of snow from this weather system. The Middle & Upper Hudson Valley are sitting int the Jackpot zone with a foot plus in much of the area though amounts do tail off a bit on the southern end of this forecast zone. 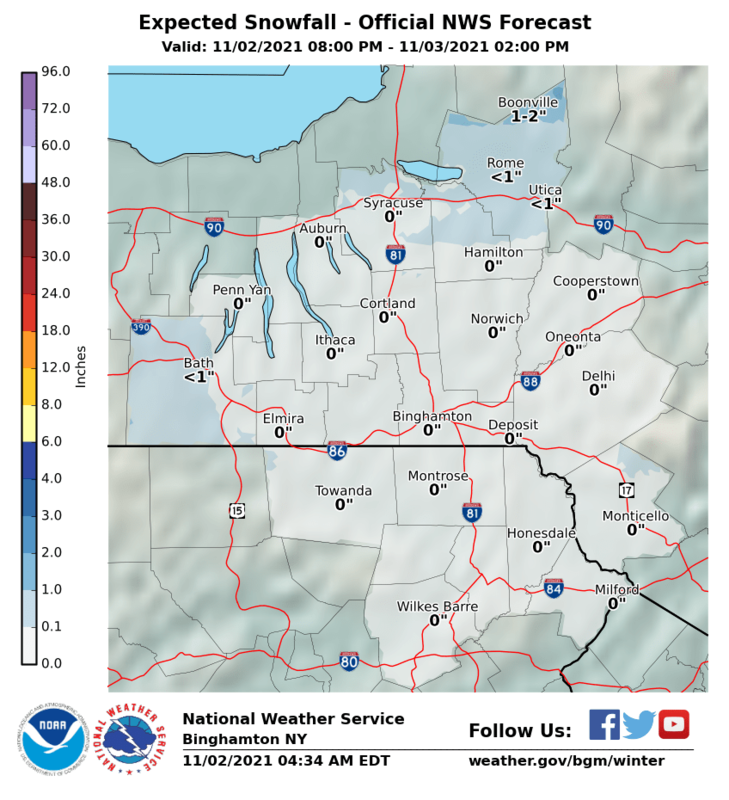 Big Snows for the Catskills of a foot plus as well as for much of Central NY and Northeast Pennsylvania. Amounts tail off a bit as you head southeast toward the New Jersey state line. Sleet and freezing rain could hold numbers down in the southeast portion of this forecast zone. 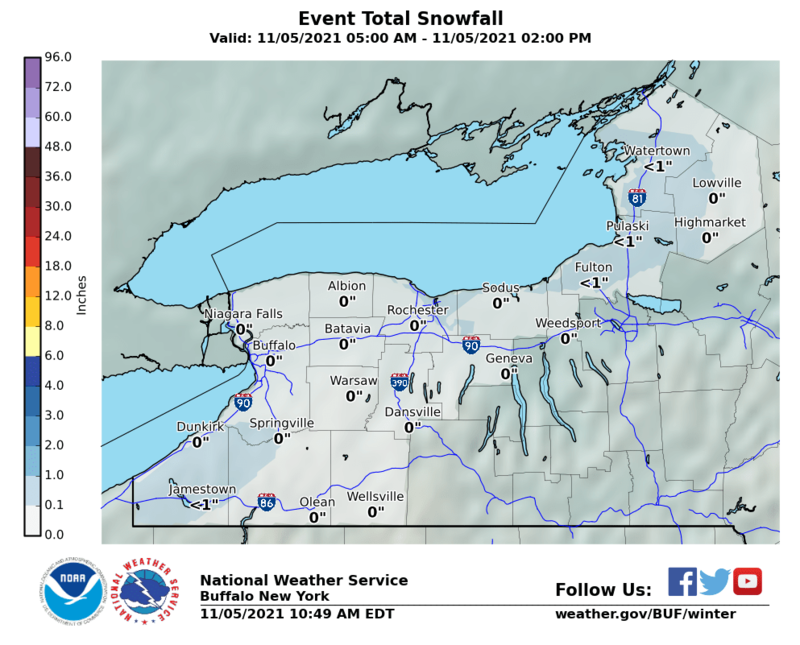 Western NY which is in the land of the snow belt is getting one of those widespread snows impacting a large geographic area verses the more targeted snow squalls that pound some counties but not others. Amounts vary widely across Central Pennsylvania from north to south with the southern end getting less and the northern half of Pennsylvania north of Route 80 in the jackpot zone. A change to freezing rain or even some rain is possible on the southern portion of this zone. 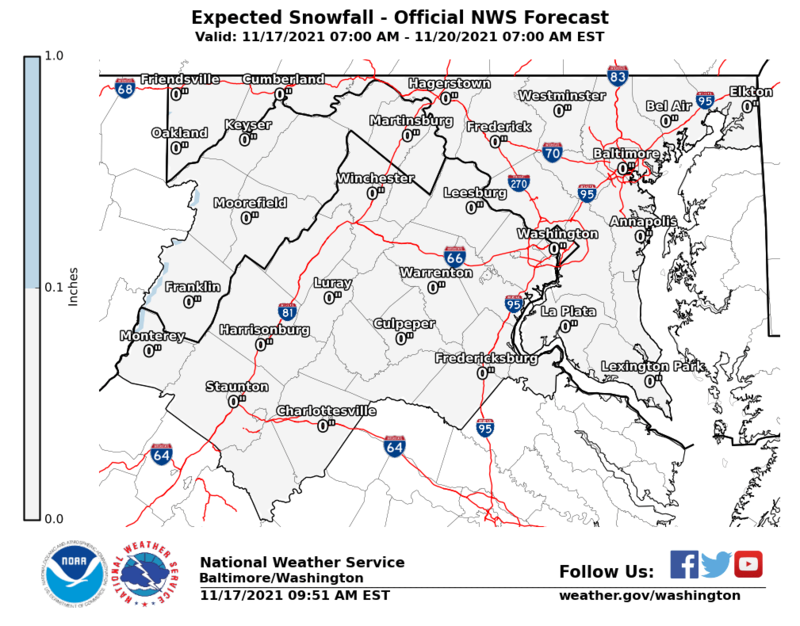 In Maryland a few inches seems likely before any change to sleet freezing rain and possibly rain while areas southwest into Virginia will see even less as a change over to sleet freezing rain and then rain happens faster though areas in Northwest Virginia could see trapped 32 degree or less areas and a longer period of icing.